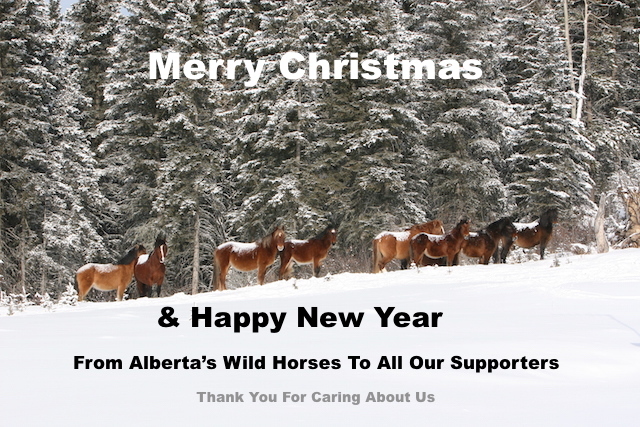 The WHOAS Board of Directors would like to extend to our members and to all of the supporters of the Alberta wild horses, seasons greetings and all the best for the new year. 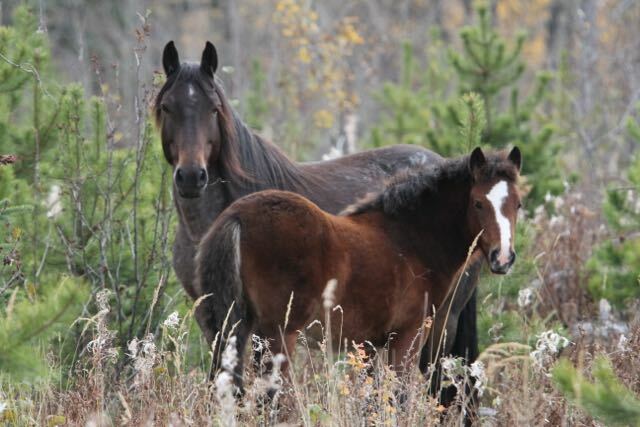 Thank you for your support and your efforts to protect and save our beautiful wild horses. The cold winter has certainly set in throughout wild horse country. The horses are equipped to deal with these extreme cold temperatures. They grow heavy winter coats with an extra layer of hair on their ears and legs. They also have a unique circulation system to keep their legs and other extremities functioning properly. 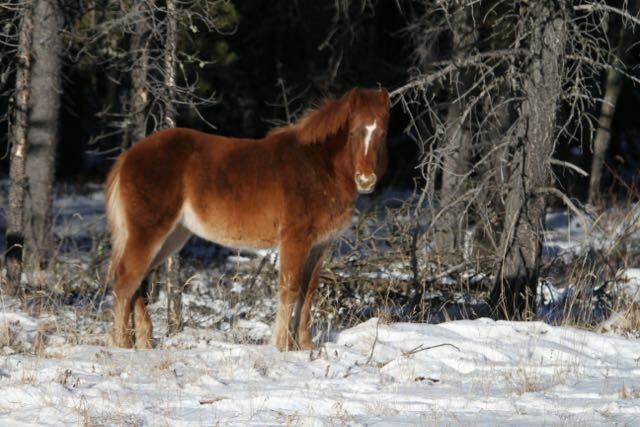 The real problem for our wild horses would be deep snow that covers their food sources, such as in the winter of 2013-2014. 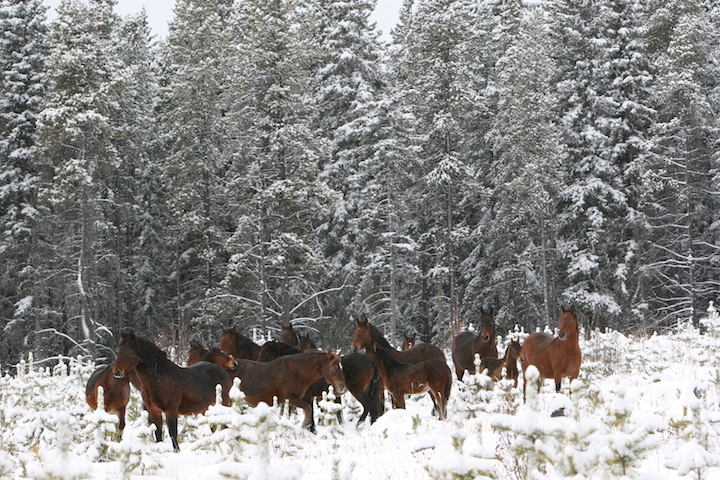 In winter the horses need to range far and wide to find suitable forage. 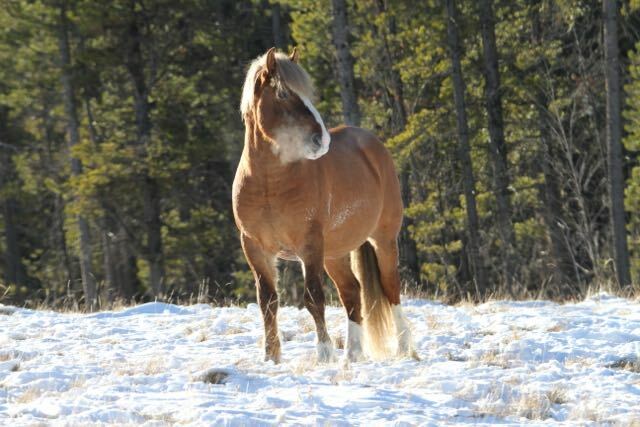 This year so far there has been minimal snow accumulation and the horses are in excellent condition right now. WHOAS continues with our projects and we hope that the success of these will prevent the AEP from calling for a capture season this winter. So far we have heard nothing about any decision being made by Minister Shannon Phillips to go ahead with this. There has been no further discussion about the progress of a management plan being put into place from the government. WHOAS has made our suggestions for management extremely clear and we do not support any indiscriminate capture season going forward. Our fundraising calendar sales have gone extremely well and we thank all those that have purchased them. 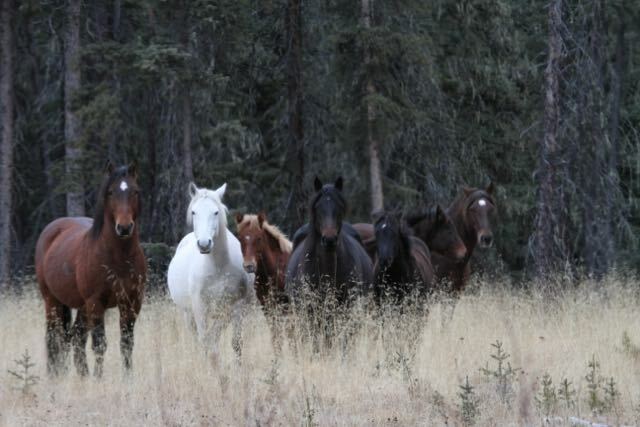 We are so pleased about the reception of the wild horse documentary that CBC NewsNetwork produced, about the wild horses and WHOAS’ work for them. Just a reminder that on Christmas Day, Boxing Day and New Year’s Day, another half hour presentation will run on the CBC NewsNetwork. We hope you enjoy viewing this with family and friends. It’s all for the horses. Merry Christmas to WHOAS people family and friends. Thank you for all the hard work you do to help our precious wild horses. Cheers!! All the best in 2017 for the horses! !